Big corporations seek to bind a dozen national governments to the new TPP agreement. The shackles will severely hurt non-corporate interests. We'll be chained to lobbyists and lawyers, taking away all possibility to regulate aggressive businesses. Remember Enron? Bernie Madoff? They'd be given free entry everywhere, and when the flim-flam unravels, consumers and democracy forfeit all. 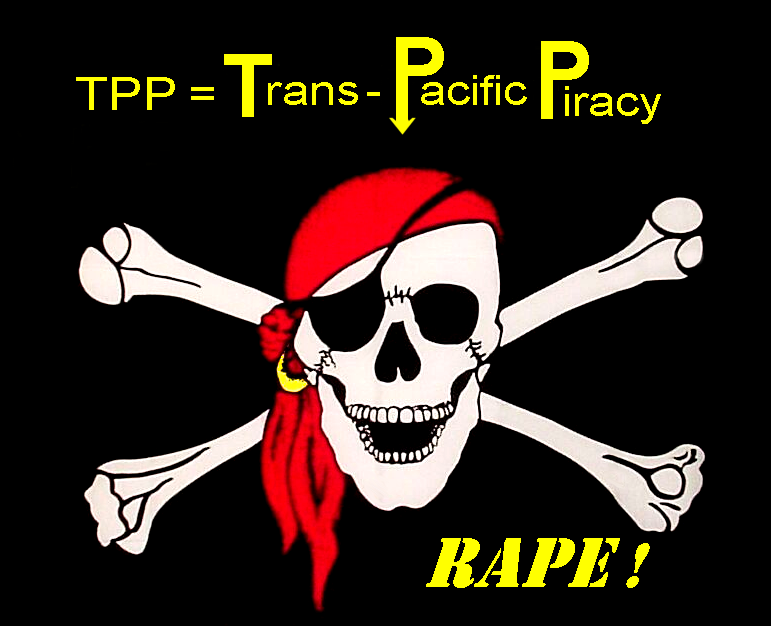 This is not a trans-pacific partnership, it's piracy. It makes us each a trans-pacific peon. Pee on. You're being tricked. Wake UP. Never accept TPP !